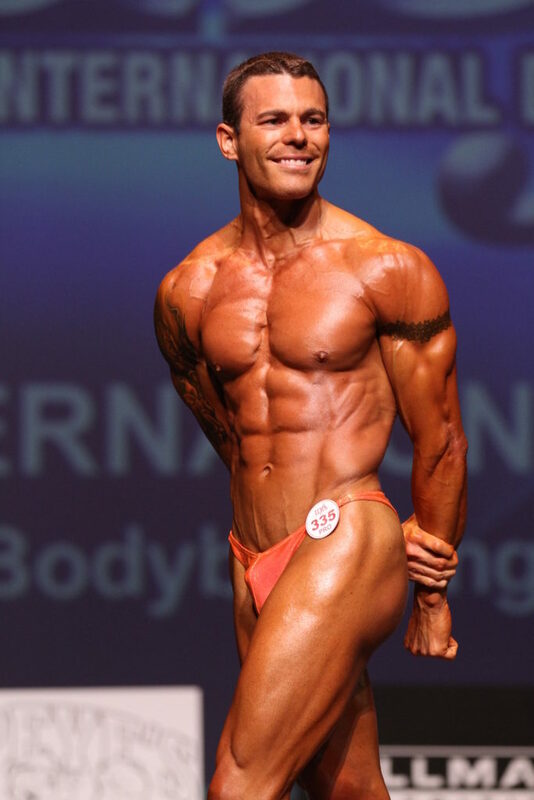 In addition to founding Pure Physique and serving as the president of the International Association of Resistance Trainers (IART), Mike Lipowski is a professional natural bodybuilder, international fitness speaker and author, co-founder of the Drug-Free Athlete’s Coalition (DFAC), and has been voted Westchester’s Best Personal Trainer. He works with fitness professionals, competitors, and everyday people who are looking to set and reach their health, fitness, and lifestyle goals using an “untraditional but focused” approach, helping clients develop the best version of themselves through applied muscle and strength science. Giveaway: Corporate Warrior listeners can get a FREE 92-page eBook written by Mike Lipowski, detailing the exercise science principles, concepts, approach, and training methods he uses as a HIT-based bodybuilder. Get your copy here. This episode is brought to you by Exercise Science LLC, your one-stop shop for all your exercise needs. Exercise Science, a high intensity strength training studio based out of New Orleans, is owned and run by Exercise Physiologist and Body By Science contributor, Ryan Hall. Ryan has been featured on the podcast twice and both are among my most popular episodes of all time. Exercise Science LLC have the expertise, experience and the tools to maximise physical strength, improve performance and functional capacity in just 12 minutes per session. I’m a big fan of Ryan and if I were living in New Orleans, I would seriously sign up in a heart beat. To book a consultation now – click here. QUESTION OF THE DAY: How do you prepare for a bodybuilding competition? Please let me know in the comments at the bottom of this post. So, I guess the question I have for Mike Lipowski then is: what does he recommend for people who’ve also tried super slow protocols with poor results? I know he says he then did blitzing for his competition, but I was wondering if he still ever uses super slow cadences, and what his general average cadence and frequency is now days as well as his present results? Is he able to use super slow with satisfying results at all, or does he use zero cadence, or does he stick with more of a 3/3, 4/4, or 5/5 etc.? 2) My cadence for most exercises is in the range of a 2/3 or 3/3. Any slower than this feels as though I’m moving intentionally slow for to much of the set. Meaning, after the first 2-3 reps I want my tempo to be within the aforementioned range while attempting to move faster on the positive and still controlling the negative. That said, coming off of SS I used a 4/6 and 5/5 but even that felt artificial compared to my current cadence. Plus, I’ve found no “safety” issues with respect to clients moving at 2/3, 3/3/, 2/4 cadences. Thank you, Michael! Do you use warmup sets too, or do you generally find one set to failure to be enough? One or two warm-up sets at the start of the workout and then it’s all “work sets” from that point forward. Mr Lipowski has been making the claim for some time now that Superslow is not effective for bodybuilding / appearance results and that is a major reason we all work out because we want to look good / better . I’ve seen video footage from years back of Mike doing Superslow ( or slow cadence reps ) and it didn’t appear to me that his body looked deteriorated as he claims . Again i’m not calling Mike a liar or anything of the sort but to say that Superslow ( 10 second up and down cadence ) was responsible for his physique deteriorating whatever that means is a startling claim . He says he now uses 2-4 0r 3-3 and those cadences seem to be more to his liking but those are still very slow cadences especially when you consider the ballistic reps that most people do . Ellington Darden has 20-20 and 30-30-30 protocols that have delivered great results for people and 60 second negative protocols as well that have done the same . I’ve personally done and still do many cadences such as 2-4 , 2-6 , 2-10 , 20-20 , 30-30 , and the like with very good results . Why would doing a 10-10 cadence cause your muscles to shrink ( deteriorate ) ? Luke Carlson conducted a study with multiple cadence types and found no differences ( of significance ) with any of them in terms of results produced . Again with all due respect to Mike i think that when people make these types of claims we should expect some evidence to be shown to back them up . The claims he’s making with regards to a rep protocol just seem absurd to me with all due respect . I agree Enlite. I have spoken to a few scientists about this and I don’t think there is any difference in cadence. The only claims on the contrary are anecdotal and there doesn’t seem to be any evidence to support that SS or 10/10 etc is inferior.